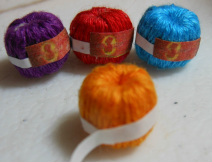 Start by cutting a long piece of the embroidery thread, approximately one yard long. Split this thread into two sections with three threads in each. Thread your large eye needle so that you have a double thickness of thread with the needle in the center of the thread. 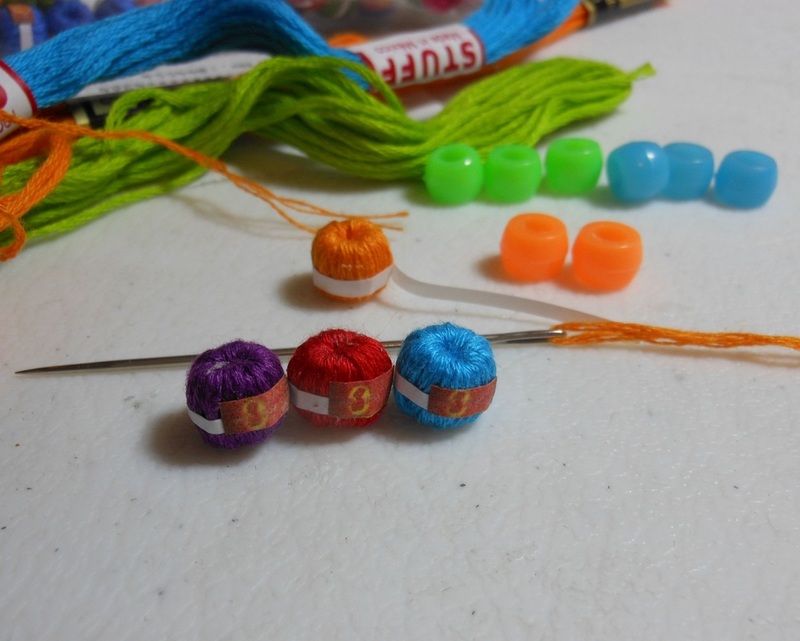 Place a dab of tacky glue onto the outside middle of the pony bead and stick the ends of the embroidery thread into the glue and bring the other side up to glue onto the end for a minute to hold thread ends in place. 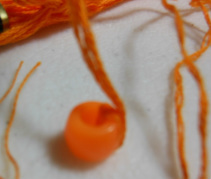 Proceed to stitch around the bead going from the center hole of the bead, around the outside and back into the center hole until you have covered the bead completely with the thread. The center hole will fill up with the thread too. 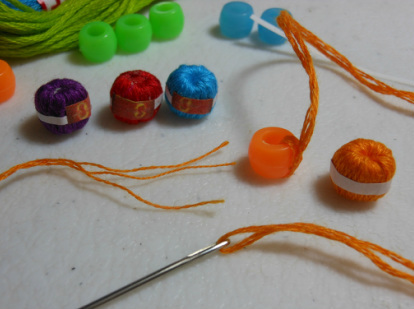 When you can no longer see the plastic bead through the thread, place a dab of glue in the center and glue the thread down after snipping off. Cut a small piece of white paper and glue around the outside center of the ‘ball’. Cut a label and glue on top of the white piece of paper.